French Links Tours offers bespoke travel planning services in France, the United Kingdom, Belgium, Italy, Spain, the Netherlands, and Ireland. This includes VIP hosts greeters at the plane, luxury transfers for individuals and groups, elegant and cosy hotels and apartments, illustrated travel itineraries with customized restaurant bookings, skip-the-line tickets to all museums and monuments, and privileged access to places normally closed to the general public. Moreover, we help tailor your budget so you know where to splurge and where to save. In a world of increased overtourism, French Links Tours prides itself on creating curated trips for couples, families and groups that allow you to discover and enjoy the best of everything without having to deal with crowds, noise and exhaustion. We provide seasoned advice on when to travel as well as where, and can even create off-season trips that you will cherish forever. We pride ourselves on a turnkey operation from start to finish, so that you never have to worry about a single detail. This is critical when you are planning from far away and haven’t the time to meet your service provider. For our rates and more information contact us. Whether you are on a honeymoon, ‘babymoon’ or contemplating a multi-generational family trip, French Links Tours will produce an itemized quote and invoice as well as an illustrated itinerary that highlights every place you plan to visit, and the low-down on every major site. In addition, we provide restaurant bookings that reflect your dining style, whether you are an eclectic gourmet, a vegetarian or a vegan. 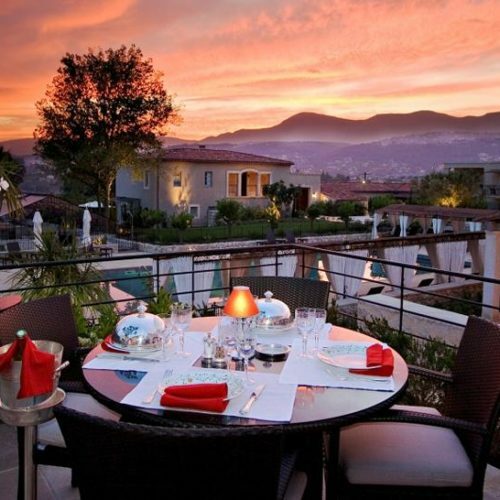 Or we can arrange an elegant picnic on a private boat on the Seine or sailing around Capri or on the French Riviera. For instance, we can tell you where to find a tree-house hotel, glamping in the French countryside, or local music festivals, not just in Paris but throughout France. Coming for Christmas ? We are happy to share the best Xmas markets and Xmas traditions. Want a cooking or baking class over the holidays ? No problem. Want a photographer to record it all. We have a stable of them to choose from, and they will even show you how to take a great pictures that you will cherish forever. Whether it’s useful travel tips such as dress code and local manners, changes in weather, or great places for local shopping, you can count on French Links Tours. Best of all, when you join us in Paris, you get a complimentary goodie bag !! With French Links Tours, you and your guests can bypass passport control with our VIP greeters, be met by chauffeured limousines and luxury buses, and even visit Paris or the French Riviera in a Rolls-Royce, Porsche or Ferrari, depending on your tastes. Remember the movie “Midnight in Paris”? 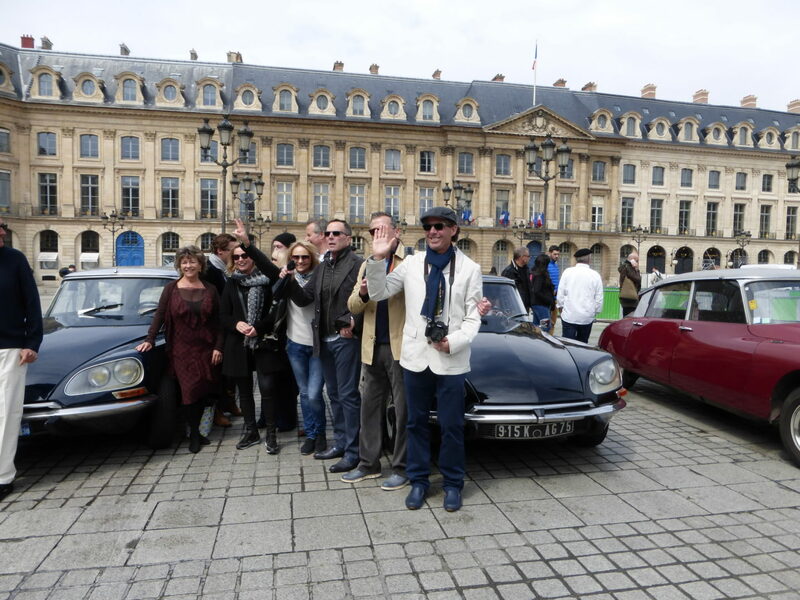 Well you can relive the movie in our vintage traction Citroens—whether you are a small group or a large party. Our selection, training and close supervision of over 75 expert multilingual guides and seasoned lecturers permits your groups to gain unique insights into French and European history, art, architecture and culture. Our French chefs, as well as food experts and sommeliers, not only provide unique gastronomic experiences, but allow behind-the-scenes, whether it’s a celebrated restaurant, a famous vineyard, or a chocolate artisan or pastry chef. Our personal shoppers can take you to the showrooms and design studios that sell cutting-edge clothing and accessories you will find no place else. Whatever we arrange on your behalf, you can count on fluent English, Spanish, German and Chinese-speaking guides to make you feel at home in France and other parts of Europe. 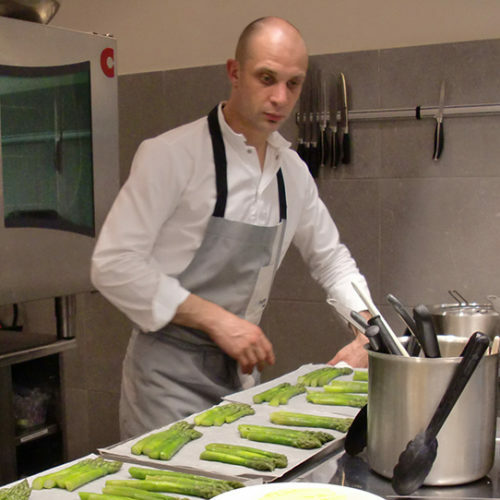 Our French chefs, as well as food experts and sommeliers, not only provide unique gastronomic experiences, but allow behind-the-scenes, whether it’s a celebrated restaurant, a famous vineyard, or a chocolate artisan or pastry chef. Our personal shoppers can take you to the showrooms and design studios that sell cutting-edge clothing and accessories you will find no place else. Imagine yourself whisked away by your new spouse in a horse-drawn carriage, a sleek Rolls-Royce or vintage Citroen traction car or convertible? Whatever your ideal wedding vehicle, we will find one as sleek and elegant as your heart desires. You can use our unique mode of transportation for simple transfers or unforgettable photography tours of Paris and beyond. Our bridal couples seem to love both options. If you are looking for something different for your wedding service or marriage proposal, how about renting a private boat on the Seine or on the French Riviera? We are able to arrange everything from a private motorboat (the same model boat once owned by JFK!) to elegant receptions on private yachts. Have you ever dreamed of visiting Paris and Versailles by helicopter? Now you can in an uninterrupted tour by helicopter, the only one of its kind near Paris. Or you may prefer to take a helicopter from Monte Carlo to our secret island off the coast of Hyères, where you can dine in a gourmet restaurant and swim on a private beach or in a heated pool. We work with several award-winning photographers and videographers that offer a range of styles, capturing the most important and unforgettable moments of event. Furthermore, our photographers are skilled at shooting unique events both indoors and outside, and are ready to travel if need be. They are also skilled at doing “surprise” photo & video shoots thus enabling you to capture your event on film—when your guests least expect it. Serendipity and authenticity—just as you wish. 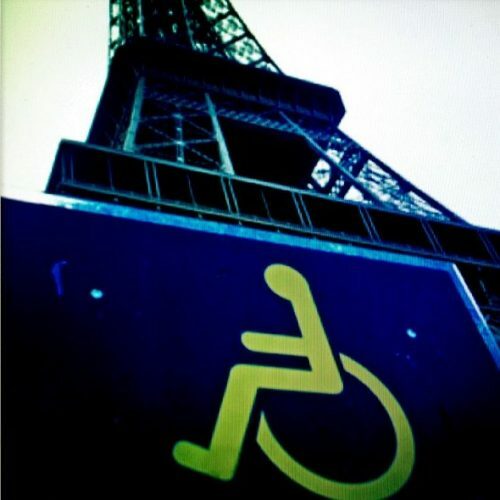 Endorsed by the French Tourist Office in the United States since 2006, French Links Tours prides itself on offering customized travel experiences that are geared to those persons with impaired mobility or other medical issues. We have successfully arranged special access to the Louvre, the Orsay Museum, and the Eiffel Tower, as well as such sights as Fontainebleau, Giverny, Chartres Cathedral and Versailles. We also make hotel recommendations for the physically challenged. In addition, we have arranged for wheelchair hire and special minivans that accommodate special disabilities. We can also arrange customized tours for guests with special needs to the D-Day Beaches in Normandy, ship-to-shore tours on the French Riviera, Bordeaux, and Rouen. Should you have special dietary needs, we can also see to it that you can dine in gluten-free restaurants and we stock a gluten-free pantry if you are renting an apartment in Paris. The same holds true for persons with chronic diabetes.